Immaculate 2 story Vinyl home featuring 4 bedrooms and 2.5 bath in The Bluffs at Dunlop Farms. Additional pictures are coming soon! 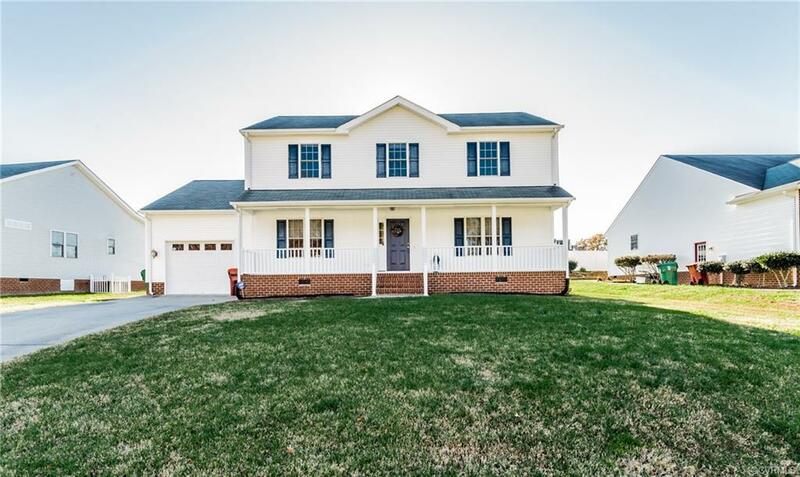 This home has a spacious country front porch great for relaxing. Open floor plan, custom hardwood floors throughout downstairs and upstairs, kitchen features granite countertops, ceramic tile backsplash, and beautiful custom cabinets. Family room with fireplace and new sliding glass door was installed recently. 2 zoned central heating and air, paved driveway and fenced in back yard with 1 car attached garage. Bathrooms are updated and tile was installed in upstairs bathroom about 2 years ago. Rear deck is great for entertaining with family and friends. Must see this charming home inside! Directions: From I-95 S, Take Temple Ave Exit (54). Turn Right Onto Temple Ave. Left On Conduit. Left On Ellerslie. Right On dunlop Farms Blvd. Right On Bluffs Dr. Left On Bluffs Ter. House On Left.